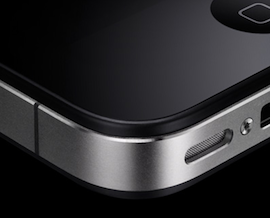 Word is breaking that Apple is calling a special press conference on this coming Friday to talk about the iPhone 4. Yes, you can probably guess what this is about. Apple blog The Loop has the (basically non-existent) details right now — that it will be in California on Friday morning and about iPhone 4. A small group of press are reportedly getting the invites right now. Update: We just got the call, we’ll be there at 10 AM PT on Friday to cover it live. The big question that everyone must be wondering is if Apple will announce a recall of the iPhone 4 based on the antenna problems — which are very real. We still believe that’s pretty unlikely. That said, it’s very, very, very rare (in fact, I don’t think it has ever happened) that Apple would call a special press conference at the last second. If they didn’t have something very major to say, they’d much more likely issue a release. But with all the talk and speculation flying around out there, perhaps Apple (and CEO Steve Jobs in particular) just wants to sit people down to talk about the issue. Apple has been widely criticized for saying basically nothing about the issue beyond Jobs’ quotes that users should buy a case or hold the phone different. Apple released the first beta of the iOS 4.1 software today. As our sister site MobileCrunch noted, it does not fix the antenna issue. Instead, it simply does what Apple said it was going to do: make the signal strength indicator more accurate.